I was really proud of the fact that I have not had to spend any time in hospital, for me that is. I have been many times as the supervising adult or visiting friends and relatives. However, in my latter years …. To my knowledge I have only broken two bones in my body. Once through getting up in the middle of the night to relieve myself but moving too much before the heart was aware I was up and moving. i.e. my blood pressure was too low. I blacked out in the john and hit a metal waste bin with my face. As a direct result my nose is now out of true. The second time was through catching one of those "vortex" mini rugby / aussie rules / american football things with like a dart tail on the end. 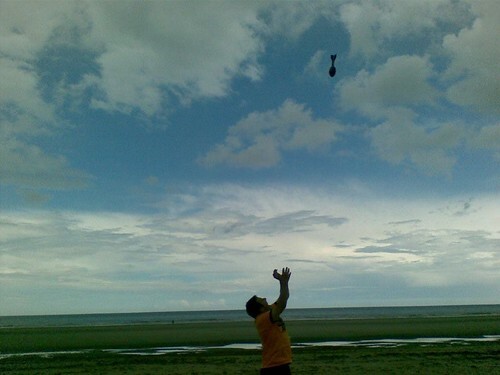 My grandson (aussie rules player) threw this thing way up in the sky. They make a noise and this one was shrieking like a banshee. I went to catch it and fumbled it. Didn't know it at the time but a week or so later when I was back in the UK I visited the doctor who told me I had "mallet" finger which has resulted in a swan neck deformity of my finger. In english, I had caused a small piece of bone, where the tendon that straightens your fingers is attached, to become detached. This condition is really annoying as you catch your finger in all manner of stupid places. The quacks had me keep my finger in a splint for many weeks and it is now as straight as it is ever going to be.